Get Started UI Screens is a free PSD UI element.Download MOBILE APP DESIGN TEMPLATES. Todays special is a flat UI kit psd. Get Started UI Screens is the excellent assistant which they can use in their designs. 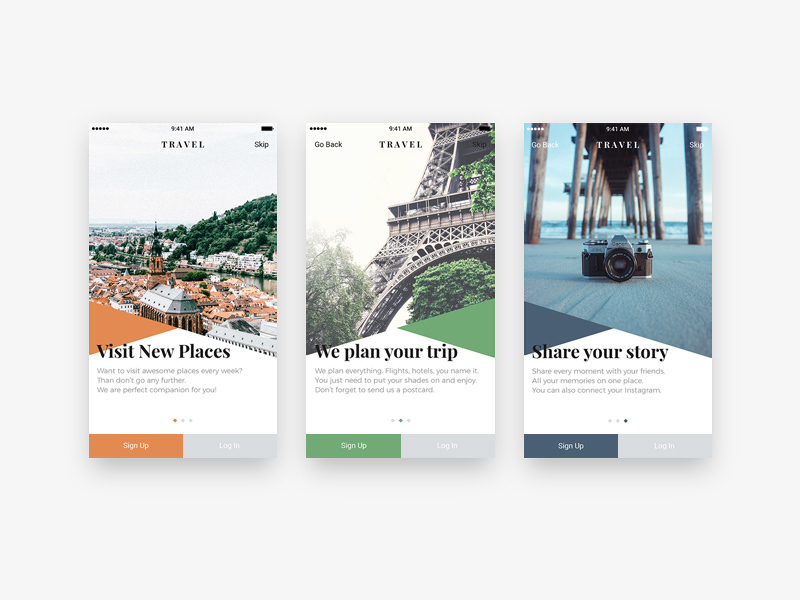 This MOBILE APP DESIGN TEMPLATES perfect for app, challenge, daily, design, free, freebie, get started, psd, screen, ui, welcome. All elements are in vector shape. PSD file is fully layered and grouped. Marko Nedeljkovic designed three “Get Started Screens” that can be found when installing new app. Feel free to download these freebies and use them in your projects.